Valentine's Day is the perfect excuse to snap a photo with your cutie, but while the day oozes with pink hearts and lovey dovey props, your photo booth backdrop doesn't have to be quite so cheesy. If you're hosting a party to celebrate the day of love, you may want to consider toning down the in-your-face, heart-smattered backdrops, and opt instead for scenes that your guests will love far after the day of love has come to a close. Here are 5 non-cheesy photo booth ideas for your Valentine's Day party that will create memorable photos for your guests without the added mushiness. 1) Paper cutouts create a simple, yet classy look. Like a relationship, your background shouldn't be overly complicated. Using a simple white paper cutout as your photo booth backdrop will give your photos a romantic feel, highlighting the people in the picture and creating a timeless keepsake, instead of emphasizing the Valentine's Day theme. 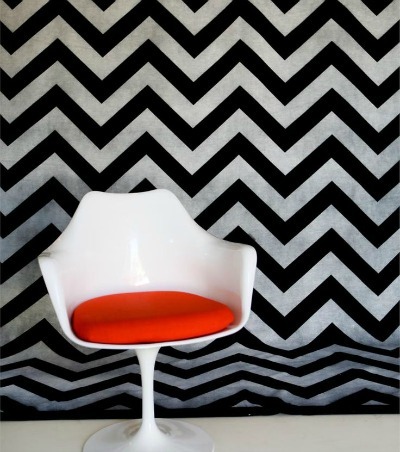 2) Monochromatic backgrounds with a pop of colour creates a balanced look. You don't have to completely abandon the colour of love to create a standout photo. Contrasting a monochromatic background (think black and white patterns like chevron, stripes or polka dots) with an added pop of red will create the perfect Valentine's Day shot - without the added cheese. 3) Floral photo walls can be romantic without being over-the-top. 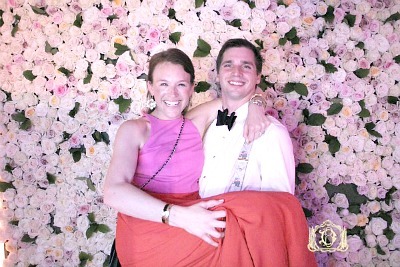 With a floral backdrop, your guests can look pretty in pink without seeming too sappy. A wall of white roses would also look romantic while maintaining a simpler look. 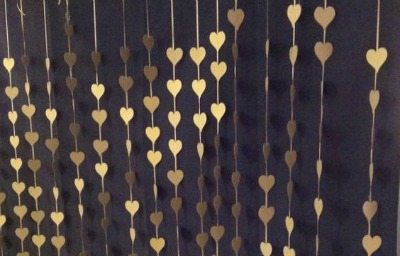 4) Small subtle strings of gold hearts against a black wall keep it clean and classy. Nothing's better than finding someone with a heart of gold to celebrate the day of love with you, but a close second would be this dazzling gold-hearted backdrop - clean and sophisticated. 5) Animated backgrounds will add fun to your photos - because love doesn't always have to be so serious. Add an animated green screen background to your photos and show the fun side of love. TapSnap has a well-stocked selection of animated backgrounds that are perfect for celebrating Valentine's Day while bringing out your silly side. And if you're alright with the cheesy pink hearts and overly-perky props, we have those too! 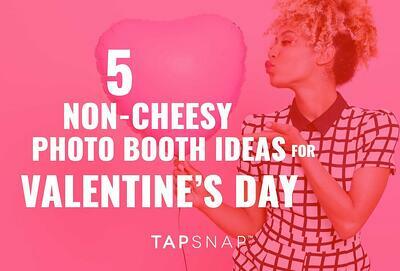 Don't forget to invite TapSnap to your Valentine's Day party. We can help you find the right setup to suit whichever tone you please.